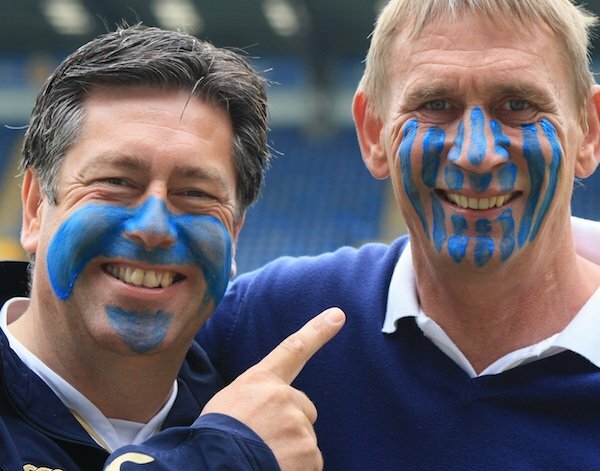 Former Portsmouth FC stars Alan Knight and Paul Hardyman were blue in the face as they helped to spread the word to their male counterparts about catching cancer before it catches you. Pompey FC also supported Blue September with an article on the campaign in their match day programme for the visit of Cardiff on 27 August game. (The game ended 1-1 after a Nwankwo Kanu came off the bench to hit a late equaliser for Pompey.) The campaign's videos are also frequently seen on the club's TV networks. Full story on the Pompey website. More on Blue September campaign on the MHF website.